An Italian winter offers many delights you may not have experienced on summer visits. Every season brings something new and in winter you will discover how Italians keep cheerful through those few colder months. We shouldn’t complain anyway, because the changing weather is what helps Italy produce such quality crops of grapes, olives, fruit, vegetables and grain. 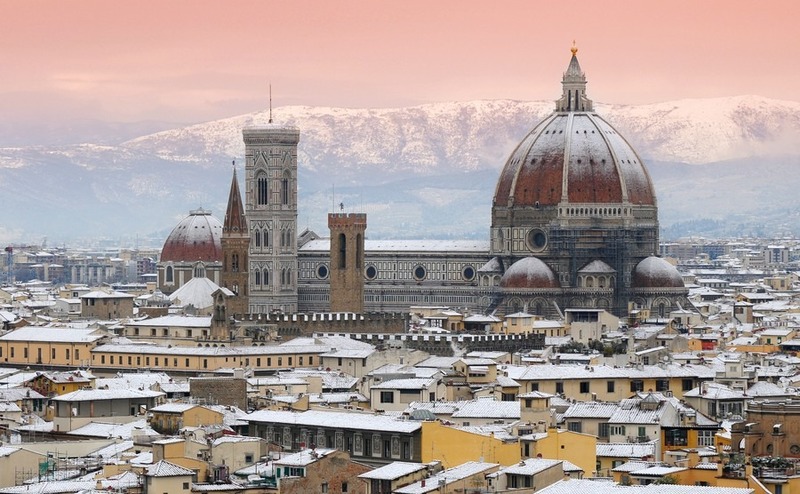 Here are six more reasons why you will love living in Italy in the winter. After the heat of the summer you’ll be glad of the cooler winter weather. It’s a time when you can get out and about during the day, then cosy up in front of the log fire in the evenings. The weather can be changeable, so you’ll need to wear layers of clothes that are easy to take off, as it can be raining one minute, then the sun will come out and you’ll wish you hadn’t worn that thick jumper. You will see blue skies and daytime temperatures that rarely go below 10°C. You will also get half the number of rainy days. 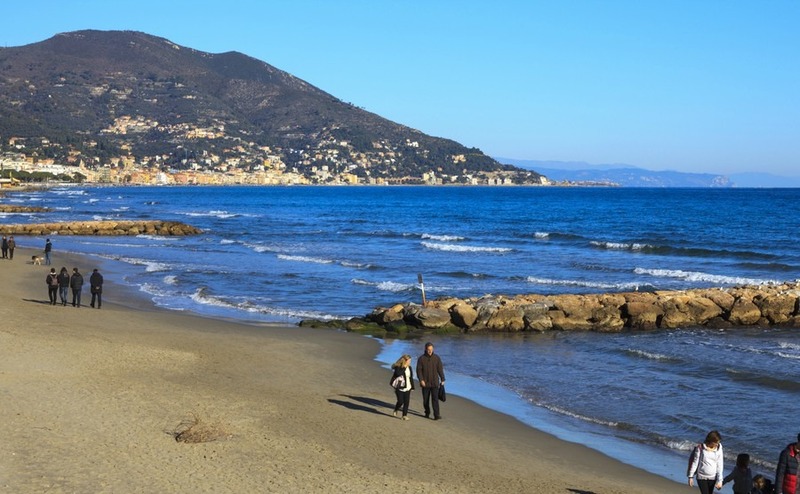 If you are looking for short mild winters then southern Italy is the place to go. It can still be humid and wet at times, but you will see blue skies and daytime temperatures that rarely go below 10°C. You will also get half the number of rainy days (compared to London). In a sheltered spot in the sun it can actually get quite hot. In January I have sat on the sunny side of my courtyard in a T-shirt. Many Italian properties were not designed for cold weather and you will need heating for winter evenings, even in the south. Log burning stoves are great for throwing out the heat. If you’re feeling sun-deprived, and this is known to induce depression in many people, Italy enjoys at least double the January sunshine of the UK. In part that is down to being more southerly; sunrise and sunset are 07.24 and 16.45 in Puglia today, compared to 08.20 to 16.12 in Manchester, but we get an hour less daylight in the summer. 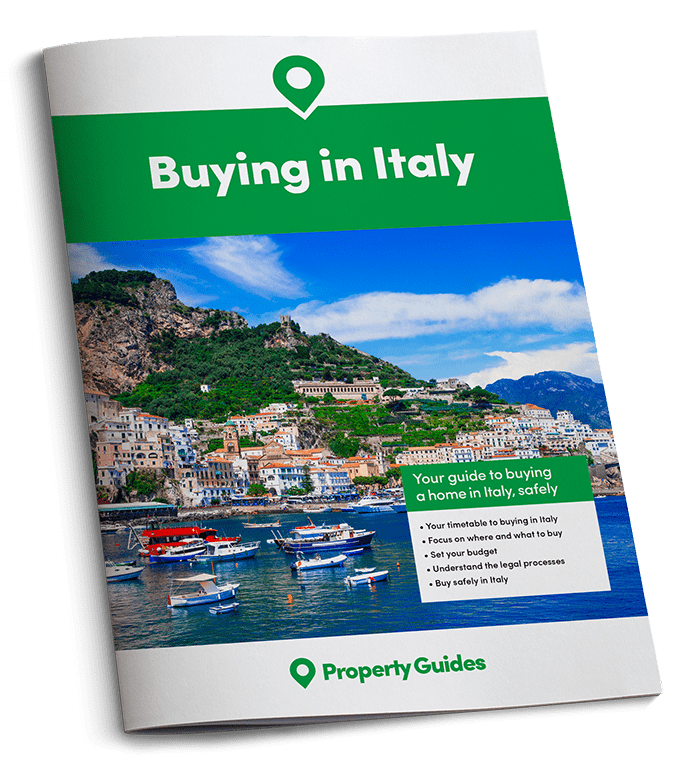 We have thousands of homes for sale in Italy on our property listings. Click here to have a browse. Whether dining out or cooking at home an Italian winter kitchen can create some delicious warming meals, with each region having traditional dishes using the best local ingredients. In the Bergamo Alps you can warm up after a morning out in the snow, with a dish of Polenta Taragna with added cheese, milk and butter. In Tuscany, finish off a country walk with Gnocchi with wild boar sauce. Visiting the local fruit and vegetable market becomes an enjoyable weekly event. There are loads of fresh vegetables such as artichokes, cabbage, cauliflower, celeriac and leek, and everything you need for a good minestrone soup. You can also help ward off colds by stocking up on winter fruits. In January you will find stalls piled high with clementine, oranges, apples and pears. You can buy a big bag of clementine for just €2. “Cioccolata calda”, that rich hot chocolate drink that’s so thick and smooth you need a spoon to eat it, is what dreams of an Italian winter are made of. After you have weighed yourself down with bags of fresh fruit and vegetables, make sure you take a break in the café and enjoy the delights of a “cioccolata calda”; that rich hot chocolate drink that is so thick and smooth you need a spoon to eat it. It’s what dreams of an Italian winter are made of. Glass cabinets which displayed Gelato in summer, are now full of delicious pastries, cakes and biscuits. Anyone who loves snowy mountains should head to the Alps or Apennine mountains to enjoy the winter scenery. If you live near the coast you can enjoy long walks along deserted beaches, coastal paths and nature reserves. It’s also a good time of year to visit one of Italy’s great cities such as Rome, Florence and Milan. There are many fine art galleries, museums and palaces to explore, and in winter there will be less queueing, especially on weekdays. Those who love shopping can also go bargain hunting at the January sales, which started on the 6th January. You may even find furniture for the home, at reduced prices. Italy boasts the largest number of thermal spa centres in the world, with a tradition of body and soul treatments that date back to the Romans. There are ancient baths that have remained intact for centuries that will take you back in time, with their natural saunas, hidden caves and thermal springs. Many hill towns in Tuscany have harnessed the mineral-rich waters for use as municipal terme (pronounced terMAY), or spas. Some are now privately-owned resorts, such as, Adler Thermae. Most Italians are keen on keeping fit and healthy, so there are many facilities for various sports, from swimming to ice skating. Dance is also popular with all ages and you will find social groups and dance classes you can join. You won’t need to buy near the Alps to go skiing. Italy has good quality resorts all the way down to Sicily, so if you buy in Tuscany, Rome, Naples, Abruzzo, Le Marche, Calabria or north-east Sicily you can still be within an hour or two of the ski slopes. During the winter months the theatres of Italy come alive with opera singers, musicians, dancers and actors. 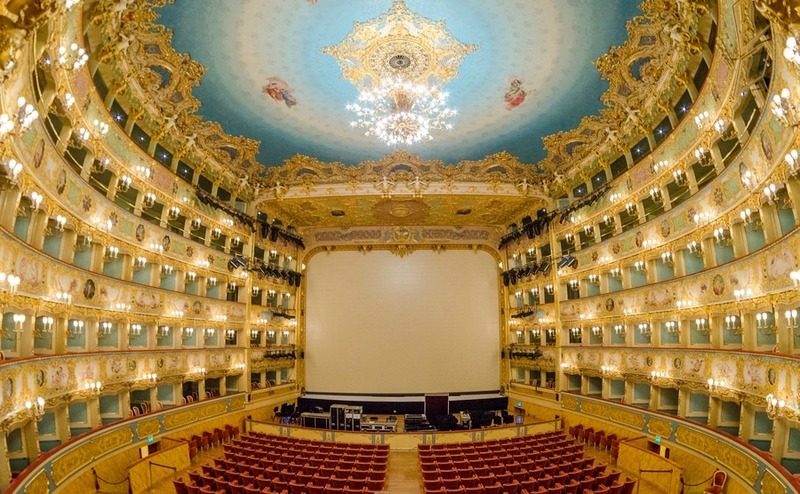 Some of the most famous venues include Teatro Alla Scala, the famous opera house in Milan, La Fenice (the Phoenix) in Venice, Teatro Comunale in Bologna, Teatro Verdi in Pisa and The Teatro di San Carlo in Naples which is the oldest opera house in Italy, founded in 1737. February may be one of the coldest months of the year, but across Italy it is filled with the colour and fun of carnival. The origins of Carnival date back to the Roman Saturnalia festival, but the term “carnevale” derives from the Latin “carnem levare” (take away the meat) referring to the banquet held the last day before the period of abstinence from meat, i.e. the Christian Lent. It’s a time when people can come together to create costumes, floats and masks and local dancers will be practicing for their part in the procession. Those with an artistic flare create the most amazing characters out of paper-mache, some as tall as four-story buildings. Whether you attend the carnival or just take a leisurely stroll round your local market, winter in Italy is full of colour and great sights, tastes and sounds.